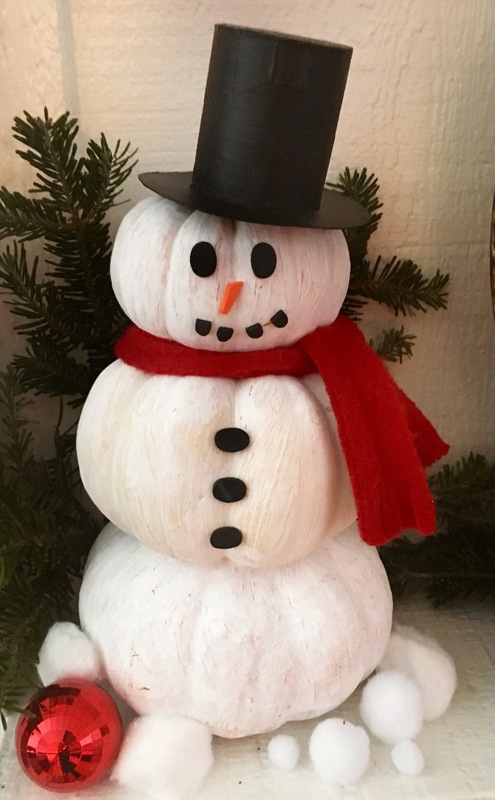 Festive Snowman Pumpkin – Crazy for D.I.Y. December 1, 2016 January 31, 2019 • Crazy for D.I.Y. I just couldn’t bring myself to throw away perfectly good pumpkins. They were too small to cook. I had 3 of them and thought what if these made a snowman. I looked it up on Pinterest and of course found some fun tutorials and with a collaboration of different ideas … here’s my version. 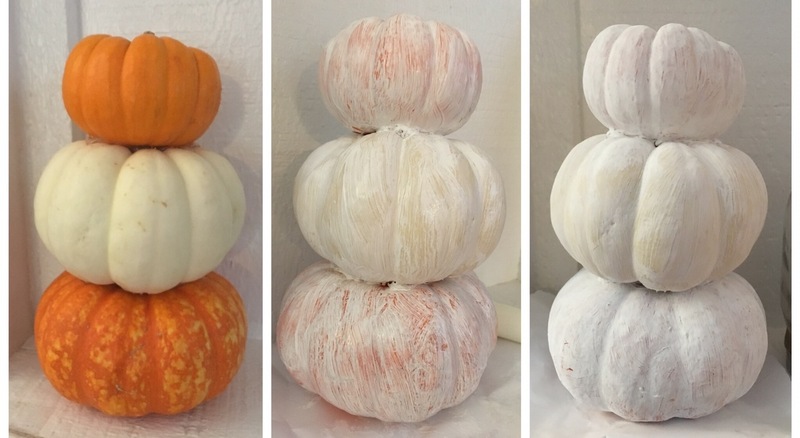 I used a hot glue gun to attached the pumpkins to each other. This required A LOT of glue! Then painted 2 coats of acrylic white paint. For the hat I used half a toilet paper roll, 2 circle cut outs of recycled cereal box cardboard and assembled with drafting tape. Painted the hat with black acrylic paint. For his scarf I cut a strip out from a scrap fleece fabric, fringed the edges and ties it around his neck. Posted in Christmas, Crafts, PaintingTagged acrylics, Christmas, diy, mantel, pumpkin, recycle, scraps, snowmanBookmark the permalink.